I don't know about you, but when I find a new product that I love in some obscure small shop somewhere, I'm excited. 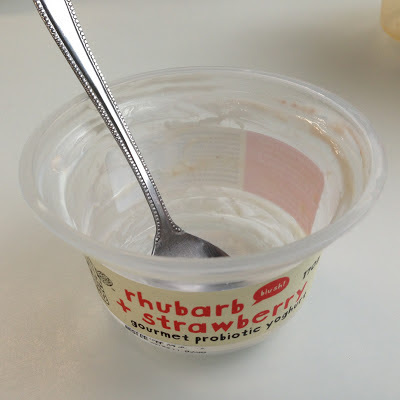 It's not available in the big supermarkets, so it's like it's my little secret... Last year, I discovered The Collective's gourmet yoghurts in a small shop near my office. This stuff was divine! So when I was asked if I'd like to try some samples from The Collective, as you can imagine, I said "yes" faster than a speeding fast thing. I was given four flavours to try: Apple Crumble (which I was already familiar with), Passionfruit, Rhubarb and Strawberry and Russian Fudge. I restrained myself from eating all four immediately and spaced out my sampling over a few days. I love all the fruit flavoured ones - the yoghurt is creamy and delicious, with none of that nasty artificial taste that some brands have. That would be because it's free from preservatives or artificial anything and contains nothing but yoghurt and fruit. Or maybe it's because it comes from happy cows who live on the island of natural wonder. Yep, this is a new Zealand product, and one thing those Kiwis do well is produce top quality dairy foods. The Russian Fudge is a little sweet for me; I like my yoghurt with plenty of tang. But I knew it would be right up Bike Boy's alley and I was right. He LOVED it. He went rummaging in the fridge the next day in the hope that I had extras stashed away. So I received these samples last Thursday and was pretty stoked - who doesn't love getting deliveries? Then on Friday, I was surprised to receive an email telling me that I'd won The Collective's Passion for Your Peeps Facebook promotion. I'd forgotten all about that! A week or more earlier, I'd "liked" The Collective Oz's Facebook page and spotted the #passionforyourpeeps giveaway - the prize being yummy passionfruit yoghurt for morning tea for your workplace. I sent in an entry, and thought no more about it. I have a thing for passionfruit; I think this is my favourite flavour. Now that my little secret is out and everyone knows about these little pots of deliciousness, you might think I'd be a bit annoyed. But nope - because Woolworths is now stocking the 170g tubs, and I've even seen the 500g tubs at one Woollies in my area. 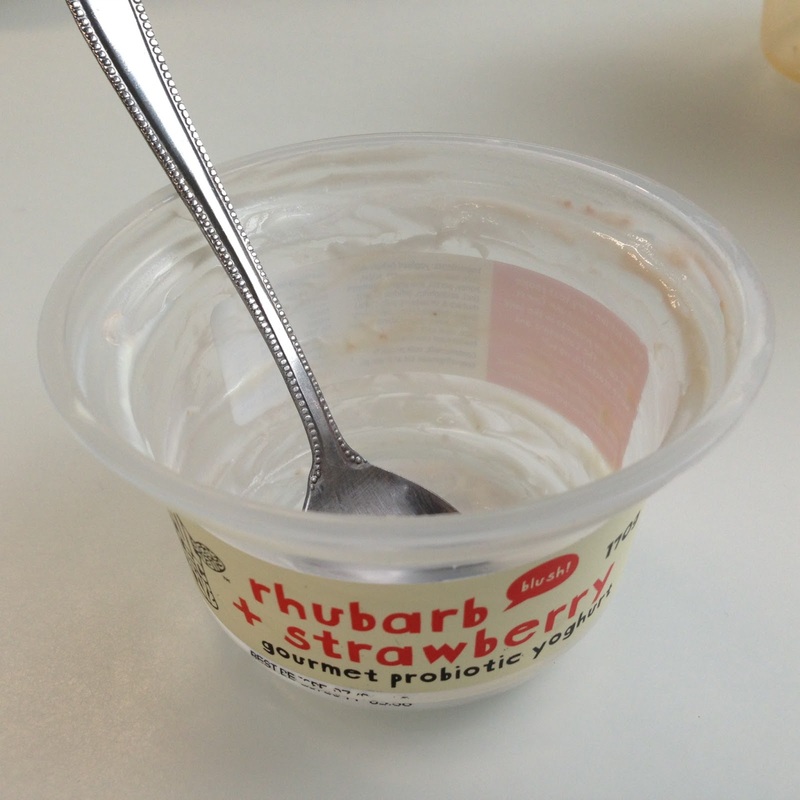 I'll have to go on the hunt for the drinking yoghurt though, because Bike Boy is extremely partial to that stuff. Plus extra bribes gifts for the boss won't go astray. Who's tried this? What's your favourite flavour? Disclosure: This is not a sponsored post. I received free product for the purposes of review, but no payment was provided. Opinions expressed here are my own. I LOVE The Collective yoghurt! It's my yoghurt of choice - my favourite so far has been the limited edition Blood Orange, the Peach, the Lime... oh hell... I love them all! MMMhmmm.... They have a coconut one that rocks my world. I spotted that on the website, but alas...haven't seen it anywhere yet. I shall keep an eye out. I've never tried their yoghurt. Is it gluten-free? I love the sound of the coconut one Sara mentioned! I'd have to go check the label to be sure, but I believe so, Deb. from memory there's only milk, fruit and cultures in these.